“Freedom isn’t free” – a refrain often used by soldiers, politicians, and country singers. In context, the phrase refers to the remarkable sacrifices our armed service members have made throughout the history of the United States. However, the true cost of freedom is spread across all Americans and is a far higher price than most realize. Recent revelations regarding the extent of government espionage have made the defense of civil liberties fashionable again. The internet is awash with support for Edward Snowden – a self-proclaimed ‘spy’ with a penchant for melodrama – who unleashed a media firestorm by leaking documents about the National Security Agency’s (NSA) cyber-espionage program PRISM. Pundits from Glenn Beck to Michael Moore have united in praising Snowden as hero. 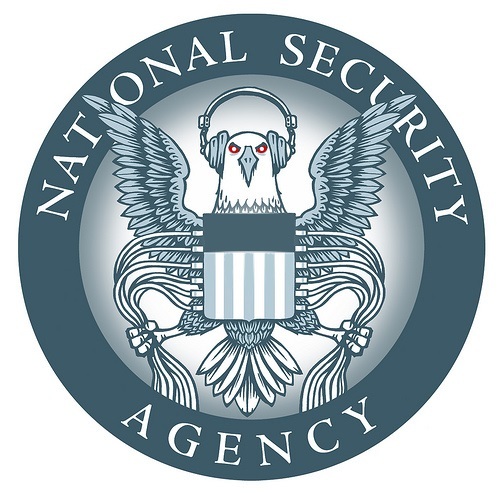 The political elite usually defend the program, with President Obama and Speaker Boehner alleging that the NSA has done nothing wrong. Some officials have even been so offended at the suggestion of government overreach that they’ve changed their entire position on the issue. Debate has been at times fierce, bizarre, and befuddling, but has also completely missed the point. We must stop dancing around the real issue, stop consoling the frightened with promised of security, stop placating the outraged with promises of further oversight (the government will do better next time, just trust us), and face the truth: acts of terrorism are terrible crimes of spite and ignorance – and are a consequence of free society. An article in The Atlantic poses a thought experiment. What if we were to accept that terrorism exists, and decide that the values our country was founded on are worth more than an illusion of security? What if we defended our rights to speak and assemble without government monitoring – two key pieces of the often ill-defined concept of ‘privacy’ – with the same vehemence with which we defend our positions on religion, marriage, or abortion? The choice between privacy and security is a false choice. Espionage defenders will often ask, “If you have nothing to hide, why do you care?” However, this question represents a fundamental misunderstanding of privacy and its importance. Privacy is not about hiding information; it is about the balance of power between the individual and the state. Anyone who has ever been a victim of identity theft or fraud knows the damaged caused when individuals lose control over the narrative of their lives, and how difficult it can be to correct that damage. To allow the government to continue to collect and analyze communication data is to sacrifice personal liberty but reap no reward. The NSA has, apparently, been spying on U.S. citizens for years (perhaps decades), yet we continue to see the failures of their efforts. The Boston bombing, Fort Hood massacre, Benghazi attacks, and countless others continue to rock the nation. It is time for Americans to grow up and let go of the security blanket of ‘government protection.’ Freedom isn’t cheap; it demands courage. Want to see where the path of state security leads? Read a recent post from a foreign national who faces its perils every day. But don’t worry, it couldn’t happen here, right? Tags: Civil Liberties, Edward Snowden, Espionage, NSA, Privacy, Security, Terrorism. Bookmark the permalink.